Sat, Nov 22, 2014, 10:24 pm SL Time, ColomboPage News Desk, Sri Lanka. 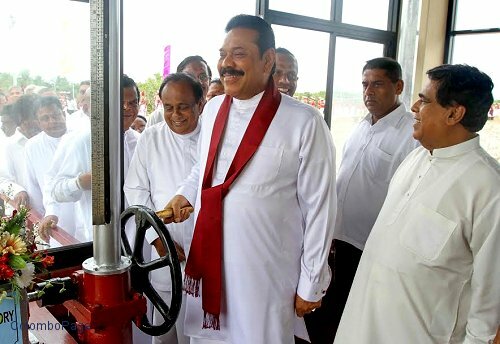 Nov 22, Colombo: Sri Lankan President Mahinda Rajapaksa Saturday declared open the Deduru Oya irrigation and hydro power project, the largest irrigation project in North Western Province. The Deduru Oya irrigation and hydro power project, located in Kurunegala District, will supply drinking water to 50,000 families and irrigation water for the cultivation of 33,000 acres of lands in dry and intermediate zones of Kurunegala and Puttalam Districts in North Western Province. 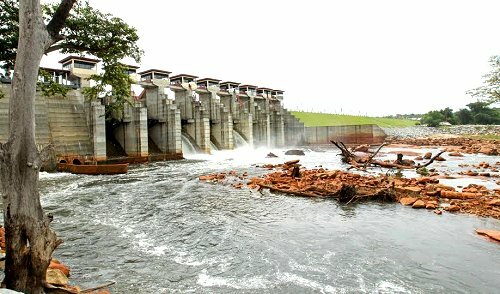 The project will also generate 1.5 megawatt electricity and controls floods. Deduru Oya irrigation project, launched in 2007 to make the country self-sufficient in agriculture, was completed with Rs. 10 billion provided by the government. Local engineers handled the construction without foreign expertise.